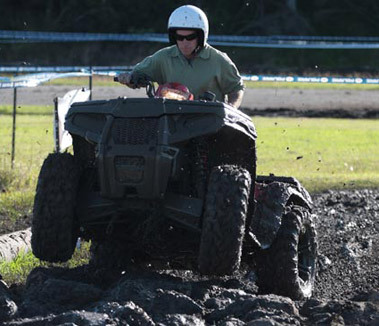 Everything you need to know about a Quad bike. How to look after it, how to service and repair the machine. Preventative maintenance tips, and Rider Training. Quad bikes are a terrific tool, but we must respect them, understand how they operate and ride them with care. Factoryfortysix has a specific course for junior Quad bike riders. The operators who have just turned 16 years of age. Here our course is designed around the junior operator, and their experience level, their judgement level. With this course, these operator will pass on valuable knowledge to their families.